​Nine minutes was all it took for Liverpool to fall behind against Southampton in their Friday night game, where they knew anything but a win would've been viewed as a major setback in their Premier League title challenge. While Liverpool teams in seasons gone by that been in title races would have succumbed to the pressure that was clearly evident at St. Mary's, Jurgen Klopp's side have become adept to handling said pressure as ​the 3-1 result at full-time testified. ​​It may have taken until nine minutes before half-time by the time ​Liverpool found an equaliser, with a little help from the lack of an offside flag for ​Mohamed Salah in the build-up, but Naby Keita's first goal for the club meant they didn't have to deal with the psychological blow of being behind at the interval in a game that was must-win in all but name. 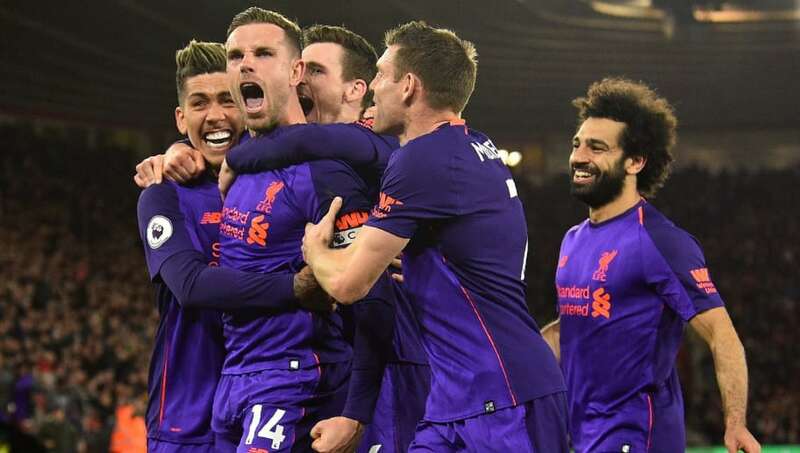 By the time Henderson - who also provided the assist for Salah's goal - sealed the win ​for the Reds late on with a third, their return to the summit of the ​Premier League was confirmed, at the expense of ​Manchester City, in a game that had the hallmarks of a title-winning side. All three goalscorers - Keita, Salah and Henderson - have had difficult moments this season, but all three came up with the goods when it mattered, with the former RB Leipzig man netting his first goal for the club. While last season's PFA Player of the Year saw the weight of ​scoring his 50th league goal for the club lifted after going six league games without a scoring - and eight in all competitions. Moreover, the win also meant Liverpool have ​won more points from losing positions than any other side in the league this season (16), which has been a major aspect to their title challenge that has kept them on the coattails of City throughout the campaign. As quoted by ​Sky Sports, he said: "Against Southampton in the first part of the game they struggled, I thought Southampton played really well, but then they got control of the game, and control is important. Composure is important, Mohamed Salah [who scored Liverpool's second] was clinical in a crucial moment. He will need to be cold towards the end of the season.